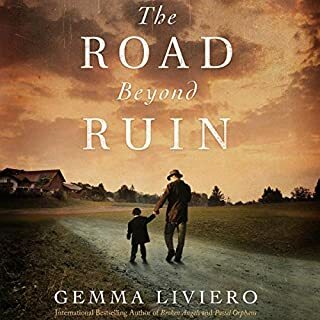 In 1930s Berlin, young Henrik, the son of a Jewish father and Aryan mother, watches the world around him crumbling: people are rioting in the streets, a strange yellow star begins appearing in shop windows, and friends are forced to move - or they simply disappear. Eastern Europe, 1944: Three women believe they are pregnant, but are torn from their husbands before they can be certain. 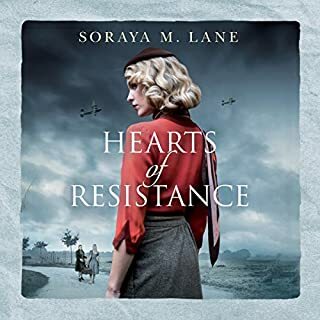 Rachel is sent to Auschwitz, unaware that her husband has been shot. Priska and her husband travel there together, but are immediately separated. Also at Auschwitz, Anka hopes in vain to be reunited with her husband. With the rest of their families gassed, these young wives are determined to hold on to all they have left-their lives, and those of their unborn babies. East Prussia, Nazi Germany, 1939. History professor Erik Mueller is a model citizen and a family man. He's also a decorated sergeant in the Gestapo. Proving his courage on the battlefields of Poland and the Soviet Union, and proud of the German army's victories across Europe, he embraces what he thinks is the righteousness of the Third Reich's cause. But his loyalties are soon tested when he crosses paths with his old university friend Trude Bensheim. A Nazi doctor. A Jewish rebel. A little girl. Each one will fight for freedom - or die trying. Imprisoned in the Lodz Ghetto, Elsi discovers her mother's desperate attempt to end her pregnancy and comes face-to-face with the impossibility of their situation. 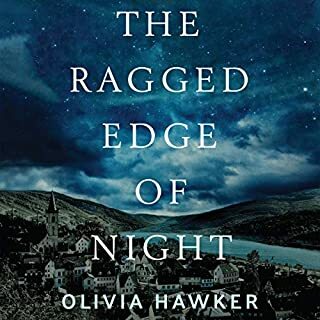 Risking her own life, Elsi joins a resistance group to sabotage the regime. While Hitler ransacks Europe in pursuit of a pure German race, the lives of three broken souls - thrown together by chance - intertwine. Only love and sacrifice might make them whole again. 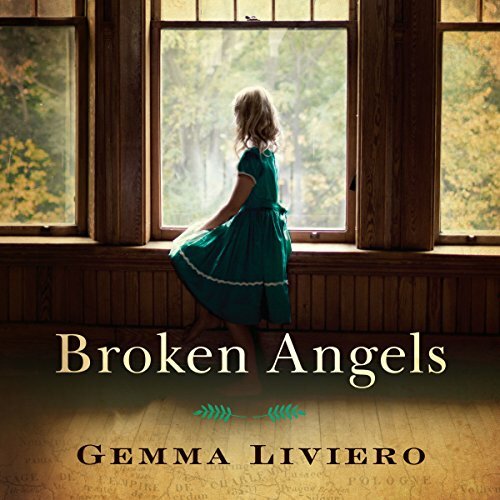 ©2016 Gemma Liviero (P)2016 Brilliance Audio, all rights reserved. 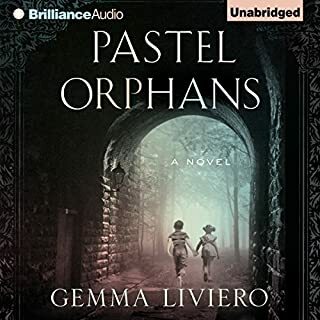 I loved this book as well as Pastel Orphans. At times I felt like crying for the characters in this book. The author brought to life the atrocities the German people did to the Jewish people. I will listen again and with my grandchildren. We should never forget. I absolutely loved this book. It's incredibly well-written, emotionally moving, and has fully developed, flawed characters. 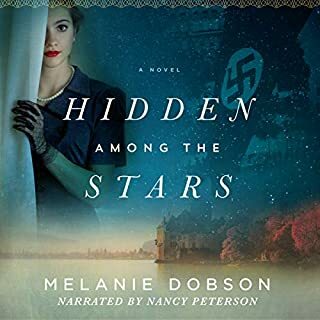 Broken Angels tells the story of three individuals -- Elsi, Willam, and Mathilde (possibly spelled wrong because I listened to this so I'm not sure) -- brought together by circumstances of WWII. Elsi is a half-Jewish teenager living in a ghetto in Poland, Willam is a Nazi doctor, and Mathilde is a Romanian child taken from her home and placed in a Lebensborn center for potential Aryan adoption. This was a detailed, emotional depiction of life in WWII Poland and Germany, but all the more moving for those reasons. I've also rarely seen an author who can give a child a full character, both shaped by nature and circumstance. While not easy to hear about, it was masterfully done. Willem is also a flawed character. His actions can't be characterized as 100% good or bad, which is interesting and honest in a character -- and true to human nature and what our situations hand us. The book also chronicles horrendous, gruesome events with an appropriate level of detail -- not a gloss over but not enough to make you vomit in your car while listening. So I appreciated that as well. Too many books about this subject matter provide too much gloss. My only small critique is that it took a long time for the characters' stories to intersect. However, the individual stories were so well-told and crucial to the character development that in the end I retracted this thought. However, just be aware of that if you read this book. Additionally, the narration was just ok. The man who narrated Willem's part was great, but the woman reading the female parts (first, each character should have gotten her own reader) was a bit flat. The voices could have been brought to life a bit more. Broken Angels tells the story of a young German doctor and his meeting with first a Jewish girl from the Warsaw ghetto and a young girl who has been taken as one who is almost Aryan and able to be educated as a good German though she is Polish. His compassion and horror about these and others persecuted and used for experiments by the Nazis leads him to live a courageous and double life. The narration by three different voices lends a real poignancy to this book. I love this author and the performance. It was both beautiful and very hard to read but I will remember this book for a long time. This story was not bad, however I couldn’t help but feel that something was missing. A man, a woman and a child all come together “thanks” to their horrible experiences and fate under the Nazi Regime and become a family. 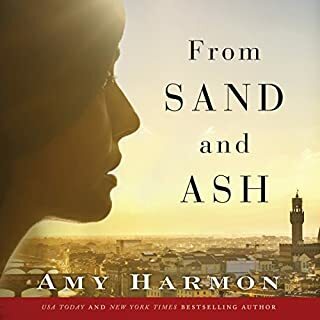 Great premise, but I never felt emotionally connected to the characters and so despite their sad struggles, it all felt somewhat hollow. I loved this book! I also loved the male narrator. The female I did not. She showed no emotion. Like a child reading for her teacher. Plus there should have been different female voices for the other women. I would get confused as to which one she was supposed to be when she read. I'd have to figure it out if I didn't hear the name at the beginning of each chapter. Great book!! But I'd recommend reading it over listening to it. the narrators were good. not great. story was of course very dark but very interesting. if you are depressed or have the winter blues, dont pick this story. the content is all based on true events which is gut wrenching. definitely reminds you that things can always be worse but also, hope always lives. This book reminds us of the horrible cost of war and the spirit of goodness that dwells in the heart of certain individuals. I really enjoyed this book, sad as it was. This book was very easy to follow. The narrators did a great job and it always left me wanting more. I highly recommend this book to anyone who enjoys stories about Nazi Germany. If you enjoy WW2 history, specifically personal accounts of Jewish survival, you'll like this. It's a very moving story and gruesome at times. But an excellent read that I would highly recommend to any adult. The narrators do a good job of telling this emotional story with clear facts.